Boston is filled with history and literature, and there are a number of amazing local bookstores that truly capture the city’s literary spirit. Whether you are looking for the latest best seller, or a rare antique book, Boston is the place to find it. We have created a list of a few of the local’s favorite book sellers, and each one offers something unique! Harvard Book Store located on Massachusetts Avenue in Cambridge is arguably the most famous bookstore in the Boston area. Surrounded by academic prestige and scrumptious coffee shops, is there anything more a bookworm could wish for? 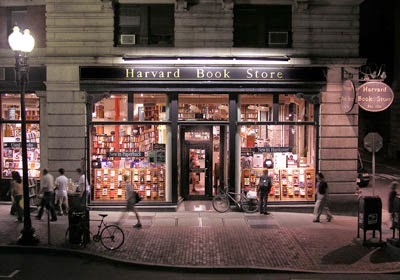 Harvard Book Store has been around since 1932, and ownership has been passed onto Jeff Mayersohn. While the book selection here is extensive, there are a few special features that truly individualize this bookstore. To start, Harvard Book Store teamed up with Metro Pedal Power to become more eco friendly, and they offer services to deliver books by bicycle. If you need a book and do not have time to wait around for the book to be delivered, have no fear. Harvard Book Store has a book making robot that can print and bind millions of titles in just minutes! 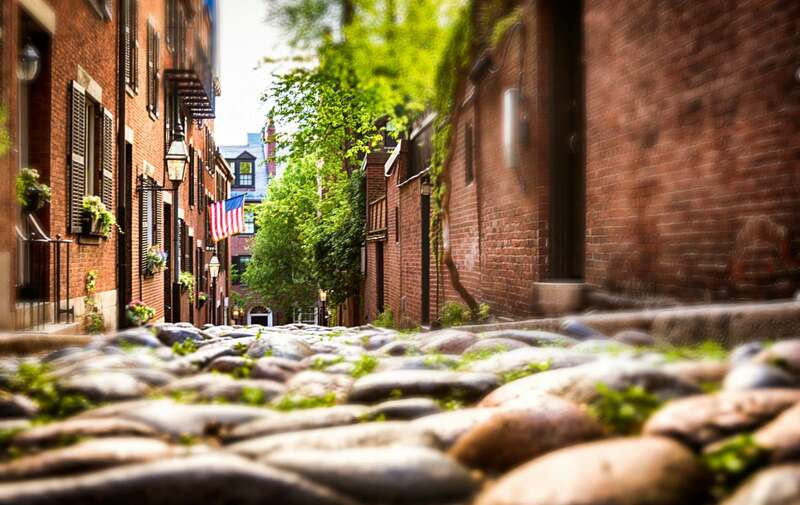 Commonwealth Books is located on Milk Street in Boston, which is the oldest street in the city built in 1630. Commonwealth specializes in art monographs, decorative arts, poetry, history, and literature. With over 40,000 books including medieval manuscripts, old prints, engravings, and present day sell outs, everyone is sure to find a book that they like here! This bookstore is open every day except for Christmas day and Thanksgiving, so any day is a great day to stop in and find a new gem to read. 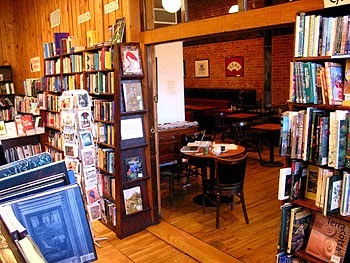 Trident Bookseller’s and Café on Newbury Street in Boston is a must see for breakfast lovers. Aside from an unbelievable book selection, a huge breakfast spread is offered including french toast, build your own omelets, and New England craft beer. Trident sells used and new books, rare finds, classics and also has an award winning magazine selection. Trident has a number of specialties including science, music, cooking, U.S. history, science, art, poetry and biographies. If you feel like showing off what you know, every Friday night Trident hosts trivia where you can challenge friends, and have a fun night! 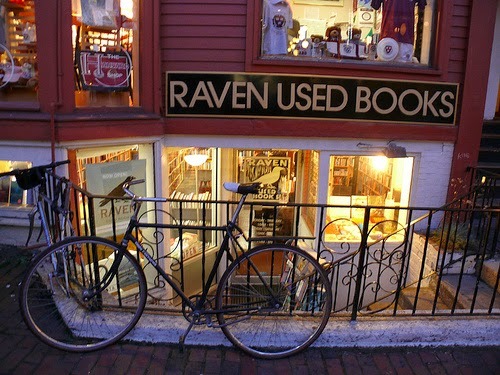 Raven Bookstore also has a location on Newbury Street, as well as JFK Street in Cambridge. This bookstore opened in 2010, and although it is young in age, it already has many awards to boast such as, “Best of Boston” in 2012, and “Best of New” by the Boston Globe in 2010. John Petrovato is the owner, and strives to maximize selection and minimize prices. Every book is 50 to 80% off the cover price, and with strong selections in American history, art, architecture, photography, philosophy, poetry, music, religion, and fiction, you can pick out a few different treasures that are wallet-friendly. There is also a great children’s section in the store, as well as numerous cookbooks. No matter what type of book you are looking for, you will be sure to find it in Boston. Once you have found the perfect book (or two), cozy up in the Clarendon Square Inn! Enjoy a good read on our outdoor patio, roof deck, or in one of our luxurious guest rooms.